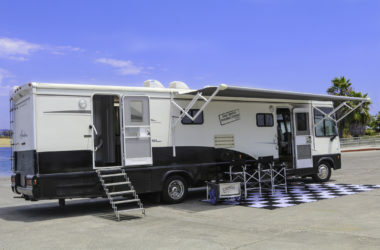 Production RVs - San Diego Productions, Inc.
San Diego Productions Inc owns and operates our own fully equipped production ready RV’s, Trailers, and portable restrooms. They are custom designed to fit the needs of the industry and are some of the nicest production vehicles available and we keep them very well equipped! Our Drivers are courteous and helpful too! We can work as a local in many cities throughout California and Arizona. Let’s go on a road trip! 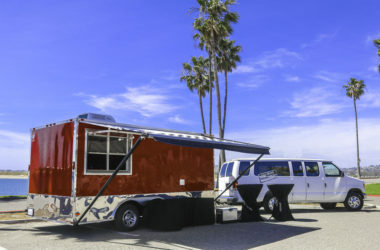 Custom designed with separate hair/makeup and wardrobe areas, full wall slide outs, ample production counter space, folding tables, chairs, copy machine, Wi-Fi, Nespresso coffee service, Vita Mix blender, clothing steamer, professional iron, photo cart, and massage recliner chairs are just some of the features we offer! 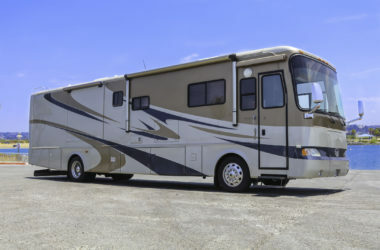 Our RV’s go above and beyond expectations! Also, please check out our extensive rental equipment list. 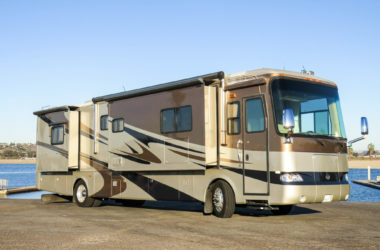 Much of our rental gear can arrive on the RV to save on costs.